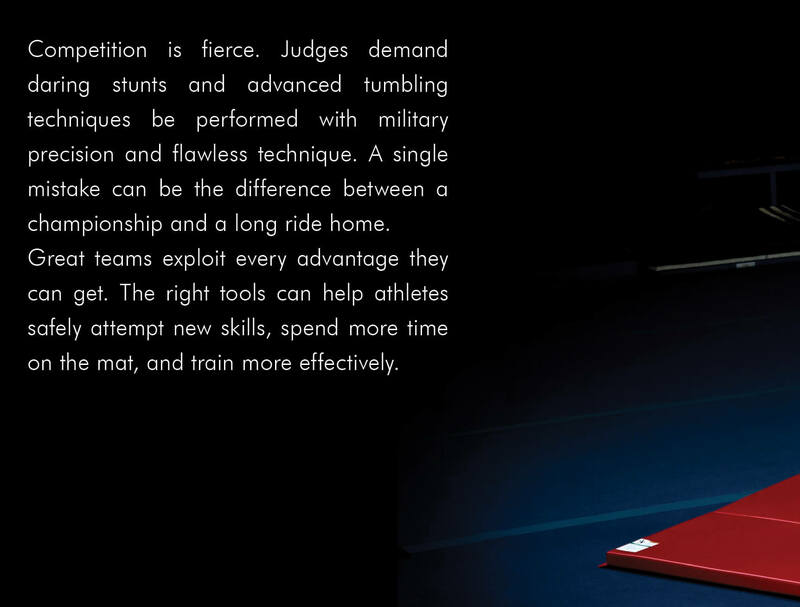 Since its inception in 1988, Tumbl Trak has been a highly respected name in the gymnastics equipment industry. 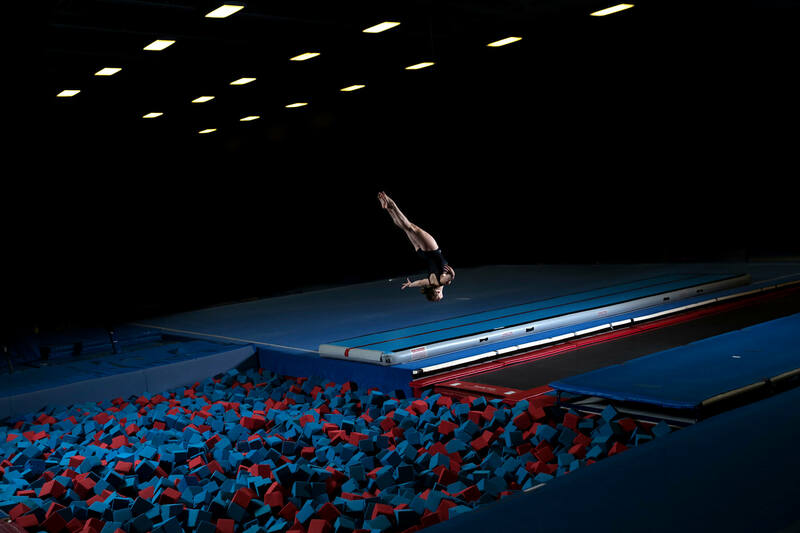 What many people don’t realize, though, is that they are much more than a gymnastics company. They also make training gear for cheerleaders, dancers, and martial artists. We worked with them to design a print piece that explains how their products fit each market they serve. 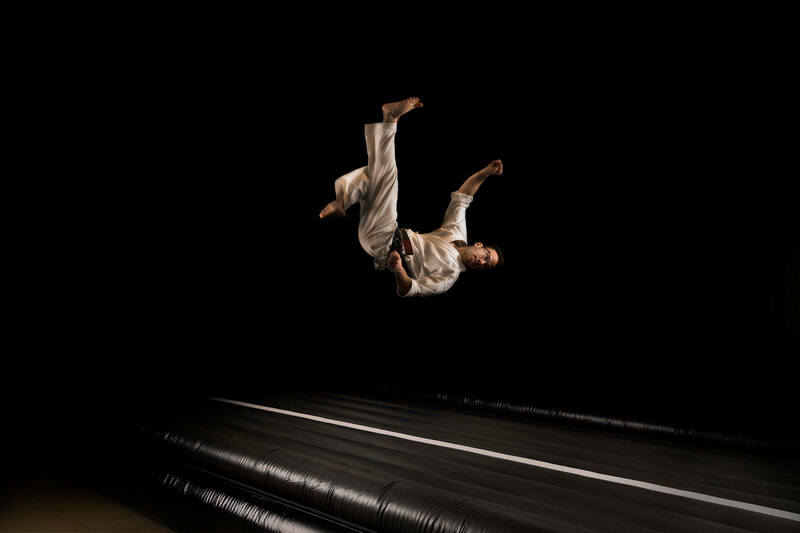 To a bystander, these sports may seem elegant and effortless. The athletes that use Tumbl Trak’s products know the truth. Behind each elegant maneuver are countless hours of struggle and failure. We developed an art direction that captured the single-minded focus of an athlete in training. We partnered with Frankenmuth photographer James Saleska to capture the images. We knew his background in sports photography would elevate the project. Once he delivered the raw photos, we edited them to the bare essentials and implemented a clean, minimal layout. 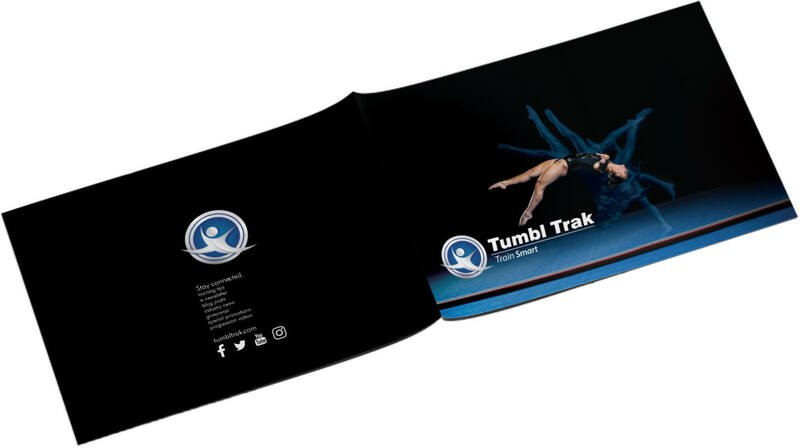 Each spread included text describing Tumbl Trak’s commitment to that sport and a real testimonial from a Tumbl Trak customer. Because they are primarily distributed at trade shows, the back of the piece includes a space to insert product spec sheets and business cards.